Eating foods that are rich in antioxidants is certain to help the all-round well being. A varied mix of fruits, vegetables, nuts, seeds, herbs, etc are certain to pack the most nutrients. The berries with the richest concentration of antioxidants include the blackberries (ahead of raspberries, cranberries, strawberries, and blueberries). A 1 cup serving of these berries has 2g of protein, 7.4g of fiber, 14g of carbohydrates, and 1g of fat. Plus, a 1 cup serving of blackberries has 50% of the DV of vitamin C.
Broccoli is one of the most nutritious cruciferous vegetables grown. It is able to offer a higher amount of calcium than cow’s milk and a higher concentration of vitamin C than an orange. Plus, the healthful vegetable is packed with phytonutrients which is a disease-fighting chemical compound and able to cut the risk of certain cancers. Broccoli is easily added to stir-fry’s, salads, or omelettes. Cranberries are loaded with health-boosting and disease-fighting antioxidants. A 1 cup serving has 1.2 grams of protein, 5 grams of fiber, 13.2 grams of carbohydrates, .3 grams of fat, and 48 calories. A fresh mug of coffee in the morning is certain to help with boosting the health. This pick me up has 2 mg of sodium and 18 calories. Garlic is a common flavoring agent and presents a variety of health benefits such as its ability to fight-off harmful bacteria. Plus, it can help to prevent certain cancers, removing heavy metals, acting as an antiviral and antifungal agent, and lower blood pressure. A single clove of garlic has a healthful supply of magnesium, zinc, iron, calcium, potassium, iodine, selenium, and vitamins A, B & C.
Add ground cloves to help boost the well-being and spice up a wide range of dishes. A 1 tbsp serving of ground cloves has about 22 calories, .3 grams of protein, 2.5 grams of fiber, 4.2 grams of carbohydrates, and 1.3 grams of fat. Pecans hold a high concentration of antioxidants which are certain to help promote better well being. A 1 ounce (18-20 kernels) serving is about 193 calories, 2.4 grams of protein, 2.6 grams of fiber, 3.7 grams of carbohydrates, and 20.4 grams of fat. Like most berries, the raspberries are a super healthy fruit to add to a well-balanced diet. A 1 cup serving of raspberries has about 53% of the DV of vitamin C and other beneficial antioxidants. A 1 cup serving of raspberries has about 62 calories, 1.2 grams of protein, 8 grams of fiber, 15.5 grams of carbohydrates, and 1.2 grams of fat. 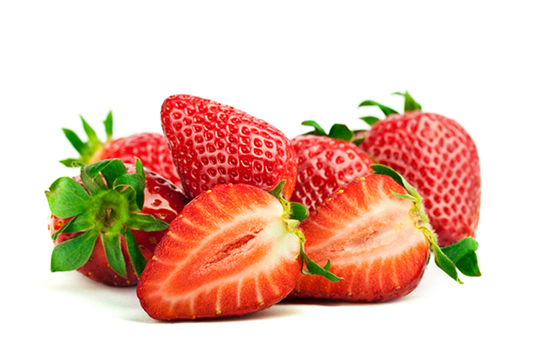 Eat strawberries to get an instant boost in vitamin C (about 142% of the DV) and fiber. A 1 cup serving of this healthy fruit contains 1 gram of protein, 3.2 grams of fiber, 11.3 grams of carbohydrates, .5 grams of fat, and only 49 calories. Walnuts are loaded with antioxidants, low in sugar, sodium, and cholesterol-free. But, nuts can be quite high in calories and it is best to minimize the intake of the salted varieties. A 1 ounce serving of walnuts has 4 grams of protein, 8 grams of fiber, 4.2 grams of carbohydrates, 18.5 grams of fat, and 182 calories.